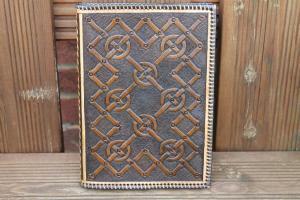 Hand carved leather cover for hardback notebook otherwise known as a Leather Journal Cover. 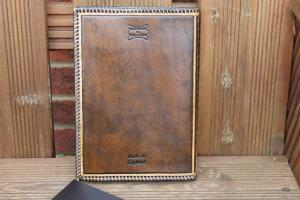 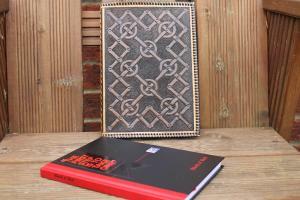 This handcrafted leather cover is sized to fit size A5 "Black n Red" Oxford style note books. 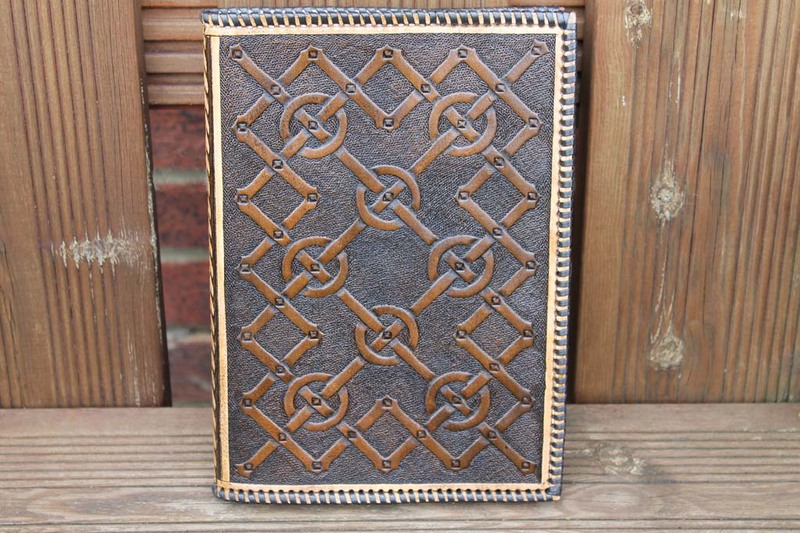 Made from vegetable tanned cowhide and carved with a Celtic knot, this superb cover is edged with lacing and dyed using an antique brown dye, with calfskin internal liners that allow new replacement notebooks to be easily inserted when the old notebook is full. 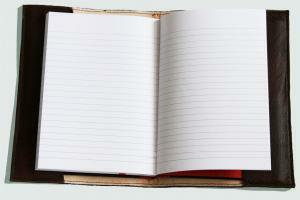 It comes with a 180 page hard backed "black n Red" notebook. 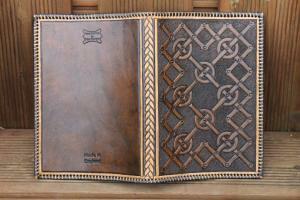 Please click on the image to see a more detailed view of the high quality workmanship.